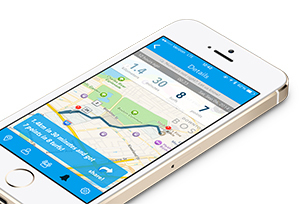 A new app tracks your fitness while turning your city into a giant game of capture the flag. 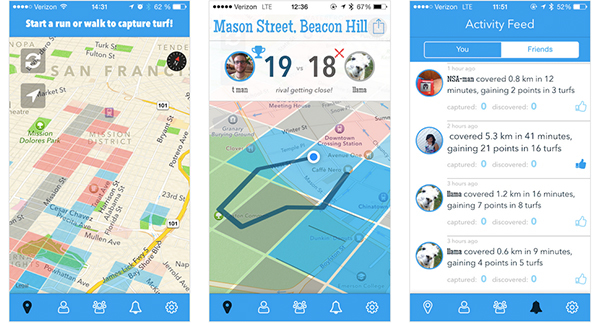 Described by its founders as “Runkeeper meets Foursquare,” a new app called Turf.ly aims to get you off of the couch and into your own personal Game of Thrones-style war for territory. One of the winning creations to come out of MassHack in Boston this June, Turf.ly divides your city into small, 500 foot chunks called “turfs.” The app works in the background as you walk to the store or run around the park, and awards you points based on the territory you conquer. You can even “own” your favorite turf if your points are the highest — but your friends may have other ideas and try to steal it back. We’re all for anything that makes running more bearable, and while the gamification of Turf.ly is more subtle than say, Zombies, Run!, capturing a new piece of land might be just enough motivation to take the long way home or try a new neighborhood. Turf.ly is currently in beta, so the social features are still developing for most cities. But that just means first dibs on turf! The app is also only available for iPhone, but Android users can sign up to be notified when that version launches.